Curbstoning is the business of selling used cars by unlicensed dealers. Normally, these dealers pretend to be private parties to evade taxes and regulations. If you are planning to purchase a used car, knowing what this term means is the first step you have taken towards protecting yourself from becoming a victim of it. Here are other helpful tips that will protect you from becoming a victim of a curbstoning business. If you notice a car parked off the side of the road with a “for sale” sign, this may be another curbstoner trying to scam you. Run and never look back. 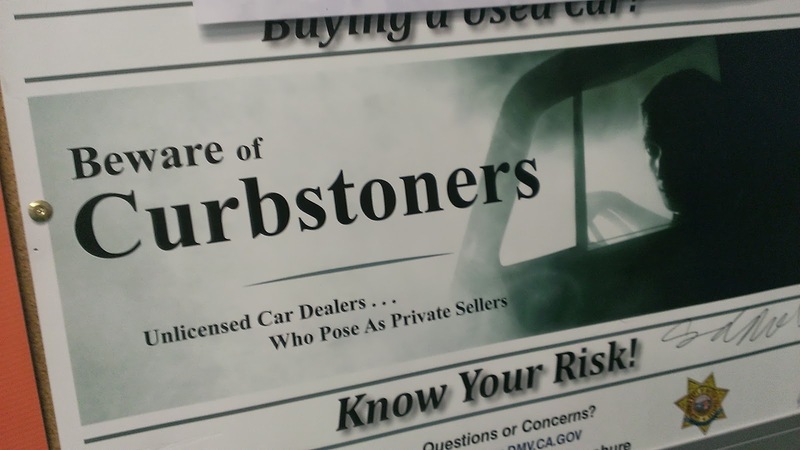 Curbstoners also park their cars on the shopping mall parking lots, abandoned parking lots and other funny places that are not legal for conducting a used car selling business. While you can get a good used car deal from classified ads, you must also be aware that it is also a place where curbstoners conduct their business. When reviewing any classified ad, note the physical location and telephone number listed in the ads. Then look at other ads listed on the site. If they have the same phone number, it could be a sign of curbstoning. When buying a used car, always remember to ask the seller to provide the title of the vehicle that he is selling. Curbstoners normally sell salvaged or flooded cars. If the seller refuses or fails to give you a title for that vehicle, they may be conducting curbstoning businesses and, therefore, you will need to walk away. You may also ask the seller to provide his or her driver’s license to verify one or two issues. Make sure the driver’s name on the title is the one appearing on the driver’s license. If the name does not match, walk away from that deal. After verifying all the above information, you must inspect the vehicle to make sure it is road worthy. Hire a certified mechanic to inspect it before you exchange any money. If you think you purchased a salvaged vehicle or flooded vehicle from a curbstoner, you can file a civil case and get your money back.